Partnership is at the heart of what a Music Education Hub is, and supporting these partnerships is central to Music Mark’s mission. It can take time to build a good partnership, trusting and respecting each other’s ways of working, and coming together in a cooperative, collaborative or confederated* way to deliver music education opportunities for young people. As Music Mark relaunches its Hub Partner Membership, seeking to grow, broaden and diversify its voice within the sector, we take a closer look at the inspiring examples of collective work happening across the country, of organisations we are proud to call Music Mark Members. Following our first instalment on the theme of partnership with Drake Music, this time we shine the spotlight on Yorkshire Youth & Music. Music Mark: What does your organisation do and who does it serve? Yorkshire Youth & Music: Yorkshire Youth & Music is a community music education company, with a 40 year history of participatory music-making across the whole of Yorkshire, and in all kinds of music. We work with the best music leaders we can find on imaginative projects which use music from all styles, for many purposes, using both traditional instruments and new technology, and linking with other arts and creative practice. 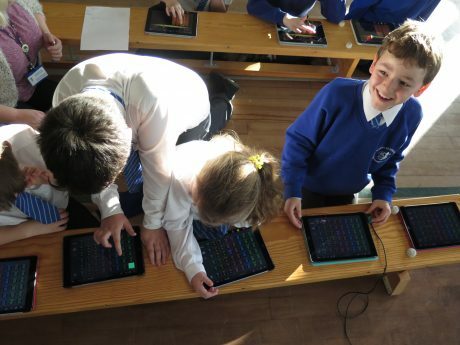 We explore and test new ways of working with an emphasis on inclusion, creativity and enabling young people to make the best musical choices for themselves. We have particular expertise in working with children in very different challenging circumstances, including significant disabilities, health needs or being in the Youth Justice system. We treat all the young people we come into contact with, with unconditional positive regard. MM: Which Music Hub(s)/Service(s) are you in partnership with and where do you operate? YYM: We work across the whole of Yorkshire, though our main programmes at present are in West Yorkshire and South Yorkshire. We work in different ways with them depending on the project we’re doing. Sometimes we’re just keeping them informed of what we do, and sometimes we plan and deliver projects together. 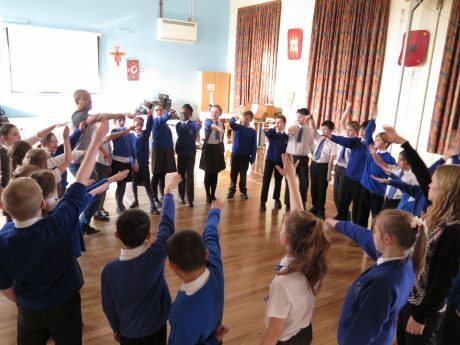 Last year we ran a year-long project with Bradford, Calderdale, Kirklees and Wakefield, which will be featured at the Music Mark Conference in November. MM: What does the word “partnership” mean to you? YYM: We have many different kinds of partnership in our work, from small and short term to strategic and ambitious. What we generally look for in partners is an alignment of values, and ambition for young people, though we never expect that to be perfect. MM: How has your provision changed since you went into partnership with a Music Service? How do you think the partnered Music Service has changed? YYM: As we work with so many music services, there are different ways in which we and they have changed by working together. Where we have imagined and developed a project with a music service from the start, it has led to new ways of working and changes in approach for both of us. Sometimes though, we ask them what their problem areas are – and sometimes we’re able to find answers. In those circumstances, the music services do what they do, and leave us to get on with what we’re doing. Sometimes, what is now a longstanding partnership didn’t start off as one – more as an experiment – but when the benefits to young people are seen, a firm partnership develops. MM: Who would you like to partner up with next? YYM: We’ve just started doing some work with CAMHS (child and adolescent mental health services) in South Yorkshire, a gentle summer programme with some very vulnerable young people. The therapists were pleased with the engagement and responses of the participants and we are looking at ways to build a longer term programme of work. It is, however, emotionally challenging work for us and our music leaders. MM: In your opinion, why is it important to be part of a national network such as Music Mark? YYM: Quite a long time ago, a friend of mine was in a taxi with the Arts Minister of the time. “I love your sector” he said “I get a group in saying this, then another saying that, then a third saying something else. All contradictory. That means I can do what I like.” So the value in national networks should be advocacy and a unified voice; in music, let alone the arts, we haven’t quite got to that position yet, but it is important to keep trying. 2nd edition of Y ME?, newsletter for young people by young people, out April 30th!